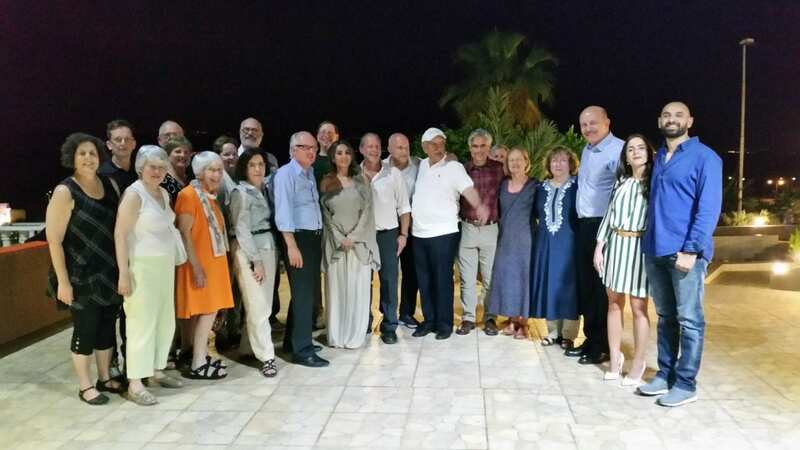 Last week, we completed a successful Beyond Borders Tour during which 18 participants from the United States traveled through Jordan, Israel and Palestine, to experience the culture, politics and environment of the region. 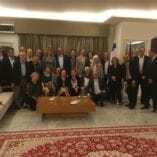 The trip began with a festive dinner at the Israeli Ambassador to Jordan’s residence in Amman. 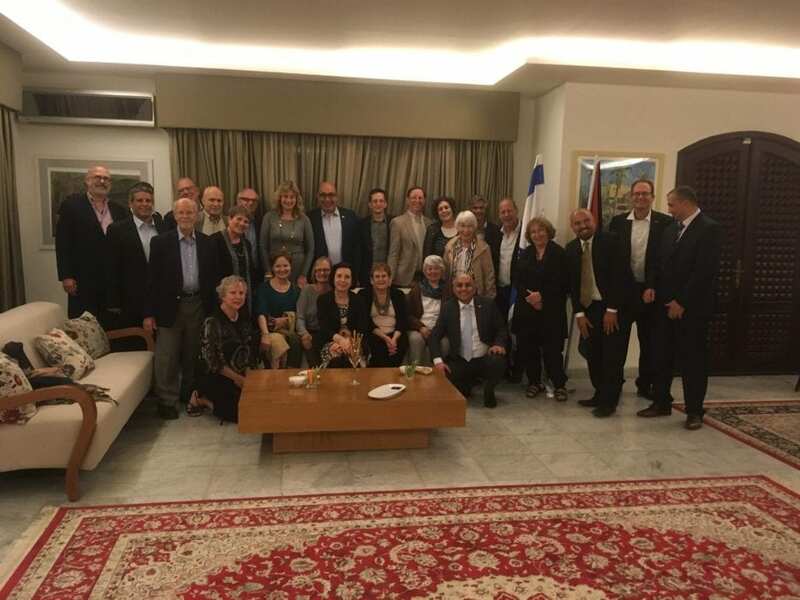 Our participants and alumni who joined the dinner were the first guests to be hosted by the new Israeli Ambassador Amir Weissbrod. 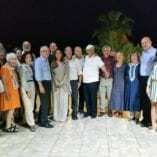 After visiting the Blue Mosque and other sites in Amman the next day, the Beyond Borders tour enjoyed an impressive dinner at Jordanian business woman Ola Al Awamleh-Masri’s villa overlooking the sunset at the Dead Sea. 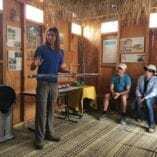 The next two days were spent touring Petra and Aqaba, some of it lead by Arava Institute alumni who gave the tour a personal touch. 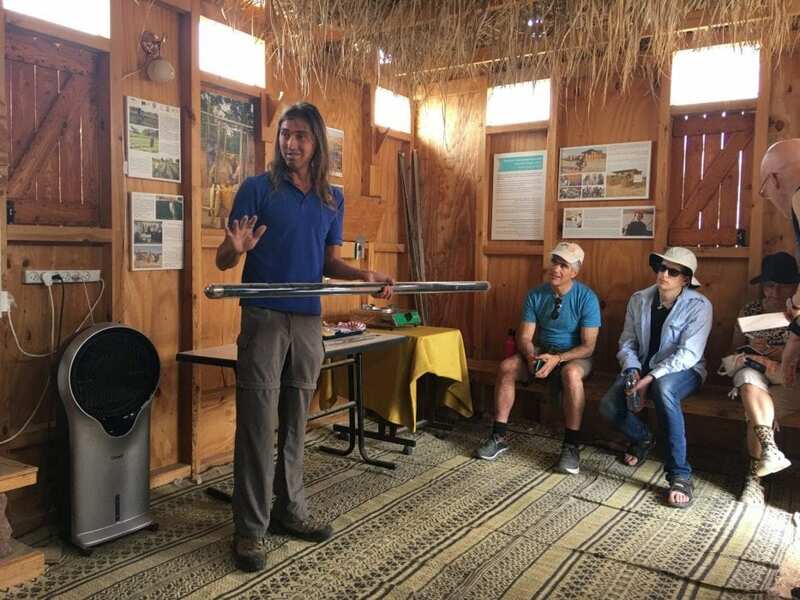 After crossing into Israel, the participants spent the weekend at the Arava Institute, allowing them to get a glimpse into the unique academic program and research activities. 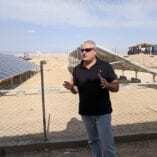 The Beyond Borders tour received a very special insight into Palestinian development in Rawabi, Palestine’s first planned city, and during a meeting with Dr. Mohammad Shtayyeh, the Minister of the Palestinian Economic Council for Development and Reconstruction. 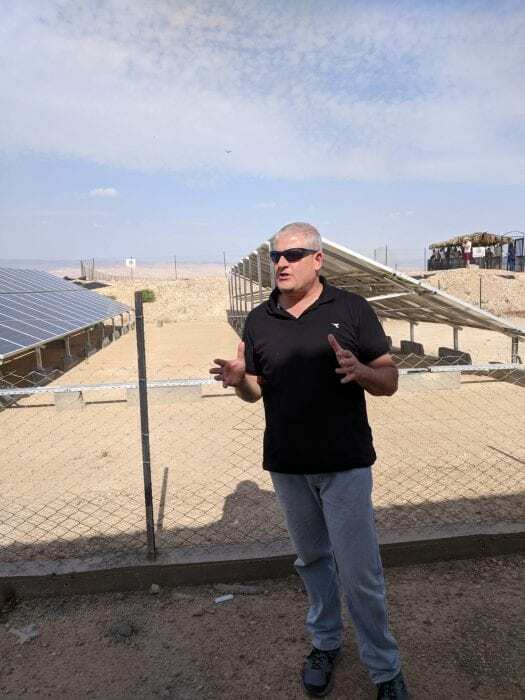 They also had an opportunity to see some of the Center for Transboundary Water Management’s projects in the Jericho region. 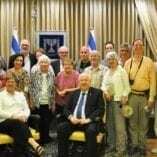 The highlight of the trip was a personal meeting with Israeli President Reuven Rivlin who spoke about the importance of cross-border cooperation and his vision for the future of the Middle East. 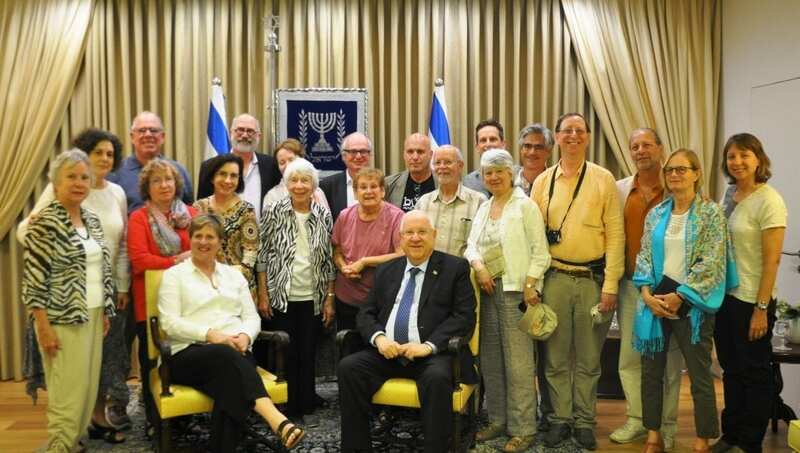 We want to thank Gwen Borowsky and David Camp, the Co-Chairs of the tour, and Miriam May, Director of the Friends of the Arava Institute, for initiating this trip, Rachel Comstock for promoting the tour and being the help desk, and Tali Adini and Lindsey Zemler from our Short Programs Department for their dedicated hard work in putting together the complicated logistics of this tour. 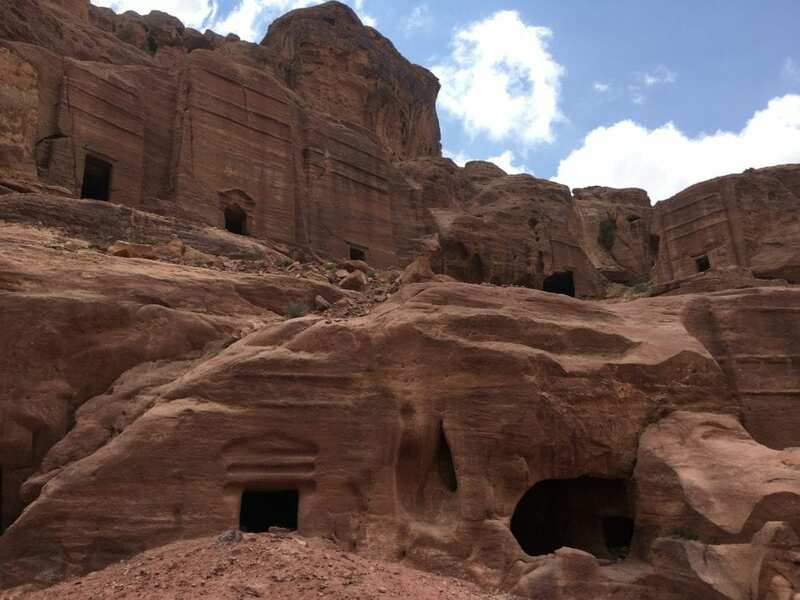 In addition, we are thankful to the head of our Public Council, Ambassador Daniel Shek, for his constant support before and during the trip.